I am a HUGE fan of photography…and of gallery walls! I have been wanting to share this post for a while, and kept coming across great examples of how to show off your photos from your photo sessions. I especially think this is a great way to show off your Lifestyle shoot images…these are like the images we take: not stuffy, candid, fun, lots of laugh shots! I think these photos really pull fun memories from our minds. 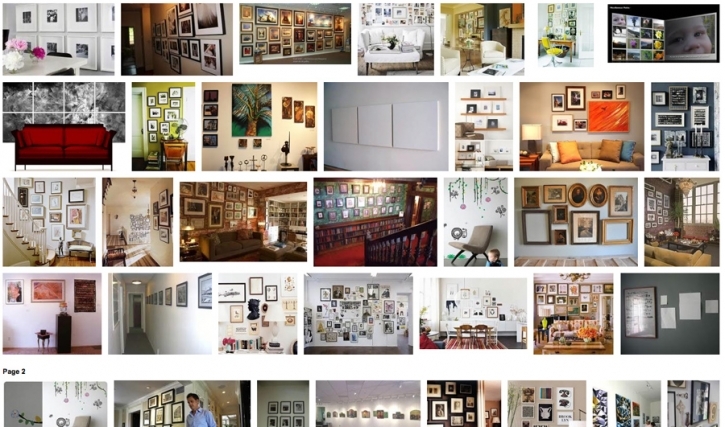 I wanted to share some examples of what I mean when I say “gallery wall” and what better to show many examples than a quick screen image. As you can see they can be large, small, color, black and white, mixed with art…just make it fun! Here you can see how you can mix it up to best fit your style and taste. Some like it clean, some eclectic, but for all different price ranges! Another example that I pulled from a fun site online is for the folks who do not want to mess with trying to make everything straight. Maybe you just want to spend the next 30 min. putting together your gallery wall and not the whole afternoon. Please check out The Picture Wall Company for more information on how you can have a stress free, and amazing gallery wall! I was just at Ikea a few weeks ago and they have the best selection of clean frames. You can take this idea and make it your own DIY project for less! Check out your local craft store for other options if you do not have an Ikea down the road. For our wall, we had a really fortunate antique shop run and got most of these frames in one spot. But, some came from other shops and other parts of my life. The main idea is that you can make this whatever you want, and it is a great way to bring the photos from our sessions into your home. If anyone has a great example of how they used their photos please share or send an image my way! 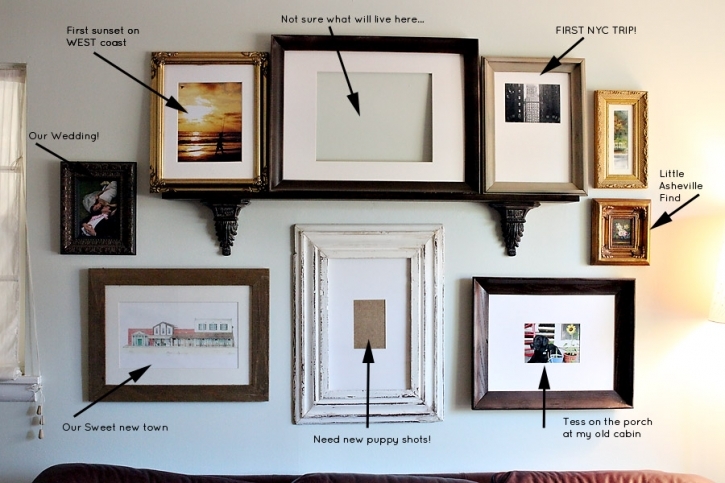 We would love to share your creative ways of displaying photos for others to get ideas! Margarita - I used to live with an awesome girl before she got married, and we spraypainted a bunch of frames black and had them all up & down our upstairs hallway, side by side by side.